It’s become something of a tradition that whenever B. and I are on our own for mealtime, we go out for something ethnic. He picks the cuisine and I pick the restaurant. For our most recent mother/son meal, B. chose Mexican, and I chose Monte Alban Mexican Grill, which had been suggested by a fellow Rochester blogger. 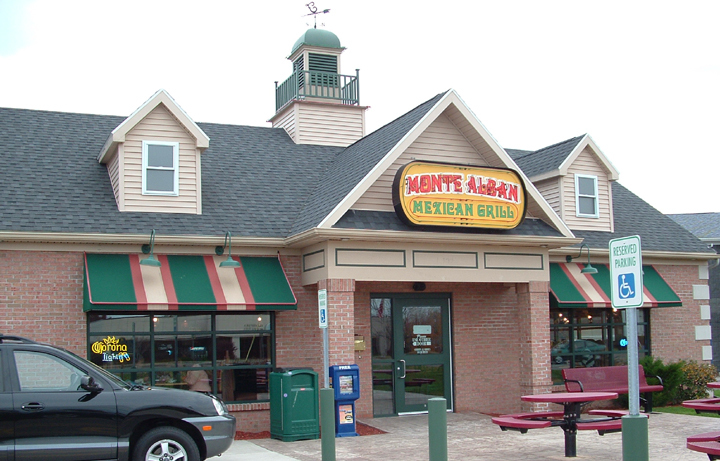 Monte Alban is located on Ridge Road in Irondequoit. On the outside it appears to be a former Friendly’s restaurant. Inside, though, definitely says Mexico – mariachi music, bright decor, courteous Mexican waiters – even a Spanish-language soap opera playing on a couple televisions. “This reminds me of Nacho Libre!” B. exclaimed with enthusiasm. That’s my culturally enriched boy! The menu was fairly extensive and we took some time pondering what to try. I wanted something outside of the realm of gringo tacos and burritos. B. wanted shrimp. 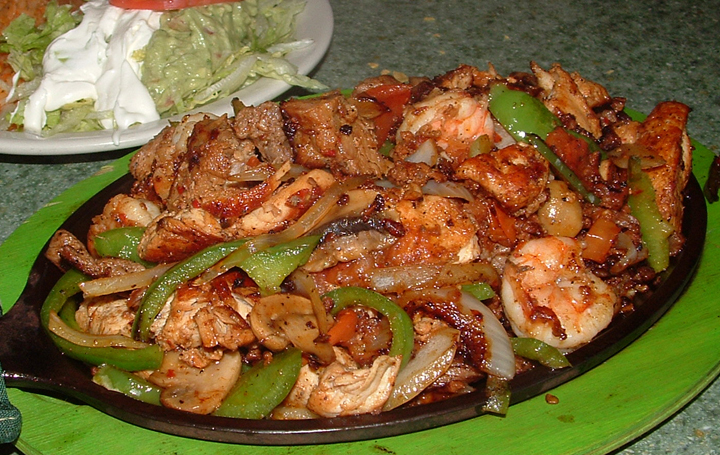 We settled on fajitas for two – fajitas with beef, chicken, shrimp, mushrooms, chorizo, peppers and onions. The heaping, sizzling pan of fajita fixings came with a smaller plate that held refried beans, guacamole, spanish rice, sour cream, and lettuce. Four small tortillas were held in a covered tortilla server. Now, this always happens to me whenever I order fajitas. They never come with anywhere near enough tortillas to hold all the fillings that they are served with. Why is this? Are tortillas an especially expensive accompaniment? Or is it an unspoken rule that you just ask for more tortillas? 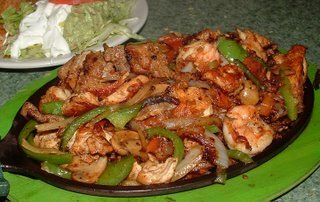 Other than the skimpy supply of tortillas, the fajitas were delicious. With such a variety of fillings, it would have been easy to have something overcooked (like the shrimp) or undercooked (like the veggies), but everything was just right. I especially liked the kick the crumbled chorizo added to the dish. We took quite a bit home, and I had it for lunch the next day (with tortillas I had in the fridge). After our meal we headed up Ridge Road to the Medley Centre (formerly Irondequoit Mall) to do a little pre-Christmas shopping. We entered through Steve & Barry’s, which is a pretty cool store with good deals and fun t-shirts. Stepping into the mall, though, was a downer. There was just a smattering of shoe and sporting goods stores that were open. When Irondequoit Mall opened in 1990, I worked about five minutes away, and I shopped there all the time. Not only was it convenient, its environment was bright and pleasant, and the two-story design made it easy to get around. But it started to struggle a few years later, and now it's mostly empty. Last year a new owner renamed it the Medley Centre, but I’m hard pressed to see much evidence of progress, other than a new Target store that’s detached from the mall. It was a bummer to see such a beautiful property so deserted.